Missing teeth are nothing to smile about. Not only does this compromise your appearance, but it can cause damage to the dental structure and potentially lead to an oral health hazard. There are numerous ways to replace missing teeth depending on the issue and severity, as well as your personal desires. Here are the common ways we work on your smile, restoring shape, structure, and self-esteem – Dental Implants, Dentures, Crowns, and Bridges. d used to anchor a replacement tooth or bridge (more details on bridges below). 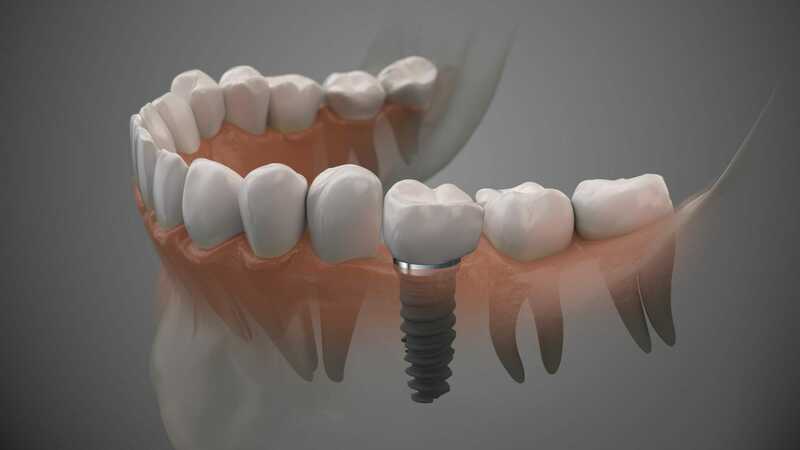 What are some of the advantages of dental implants? 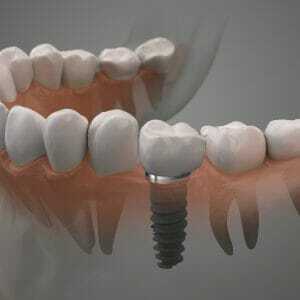 How are dental implants attached? Directly attached to the jawbone like natural tooth roots. This process is recommended for patients with healthy jawbone quality. Custom-designed metal frameworks anchored in place by mini dental implants. These are recommended for patients with thinner bone structure. 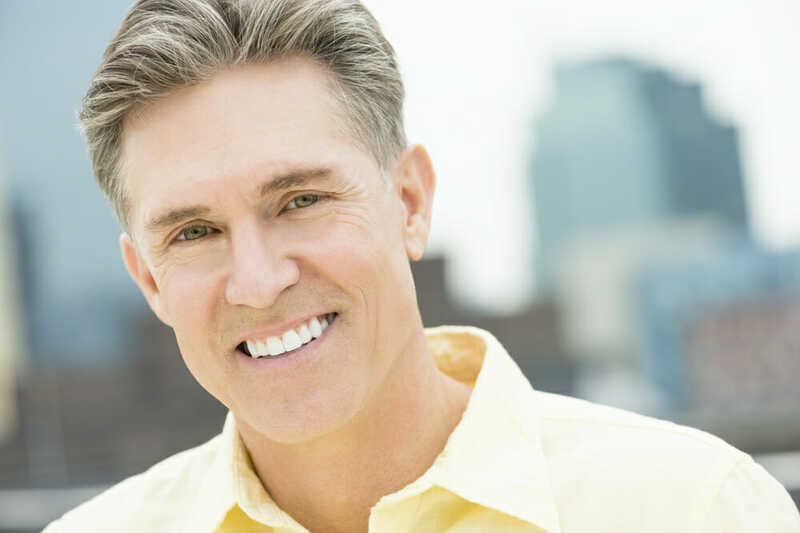 How long is the dental implant process and what can I expect? The entire process can take several months until completion, but the remarkable results are well worth the wait. Under local anesthetic (numbing), we’ll surgically insert the artificial tooth root into your jawbone. Once the screws and posts are placed, the area must have time to heal as the roots fuse to the jawbone. This process can take up to six months, and the replacement teeth are fitted once you are fully healed. As usual, brush and floss around the dental implant(s) at least two times per day, and be sure to keep up with your regular cleaning appointments. Would dentures be an appropriate option to improve my smile? Dentures are removable dental appliances most often made of acrylic resin or porcelain. You can replace lost teeth and see a more stunning smile with dentures. Today’s dentures are much different than the ones our grandparents wore. They are natural looking and fit well and comfortably. No need to panic! No one will know you’re wearing them. What are some of the benefits of dentures? Are there different types of dentures? Dentures can be complete, partial, conventional, or immediate. Complete dentures are recommended when most or all of your teeth are missing. Partial dentures will fill spaces left by missing teeth and will prevent your remaining teeth from shifting to fill those spots. Conventional dentures are placed in the mouth approximately one month after tooth extraction, and immediate dentures are placed right after extraction. What is the process for getting dentures like? gums that will be used to design the denture with a natural looking shape, fit, and matching tooth color. The final denture is placed in your mouth on the last visit. It may be necessary to get a new set of dentures with a better fit as time goes by and mouth/jaw/facial structure changes as you age. Take care of your dentures as instructed with a special toothbrush and other cleaning and maintenance essentials. Follow up with regular appointments. Dental crowns are tooth-shaped caps fitted over damaged areas of a tooth to restore full function and aesthetics. Crowns can be placed for functional or cosmetic reasons. Dental crowns are strong and secure and work like natural teeth. Lifetime Dental Health is pleased to use CEREC® Dental Crowns – same day restorations. Super advanced and quick, this option is something patients are excited about. In 20 minutes (sometimes less), a precise, durable, tooth-colored, metal-free crown is placed. That’s it! It’s amazing. What are the benefits of CEREC®? Bridges are permanent or removable dental restoration appliances that replace missing teeth with artificial ones. This “bridge” between gaps and spaces, there is vast improvement in functionality and appearance. Both fixed and removable bridges rely on the surrounding teeth for support, and often a crown is placed over these “anchor” teeth, but fixed bridges are more stable overall than the removable style. Bridges can be made of gold, alloys, porcelain, or any combination of these three durable materials. Replacing your teeth is something you should discuss with Dr. Barry or Dr. Love. Not only will your smile benefit from the work, but your mouth will work better. Let’s figure out the best plan for you and get your smile corrected, leading to more confidence and full functionality.